At issue is whether or not the Court will confirm a 2015 Arbitration Award and Order that Tacoma General cease using the buddy system and instead start using break relief nurses to ensure nurses can be safely relieved of patient care for their rest breaks. 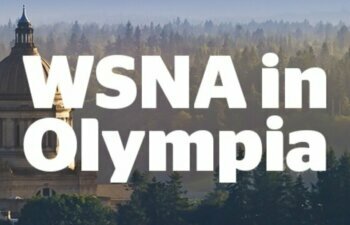 WSNA is asking the Court to enforce the Arbitrator’s decision finding that the break buddy system failed to fulfill Tacoma General’s contractual obligations to ensure that nurses were relieved of patient care responsibilities for breaks without violating staffing plans. A decision in WSNA’s favor would result in an order directing Tacoma General to begin complying with the Arbitrator’s decision, which it has ignored for the past 2.5 years. The Court will hopefully issue a decision within the coming months. In the meantime… Are you getting your rest breaks? 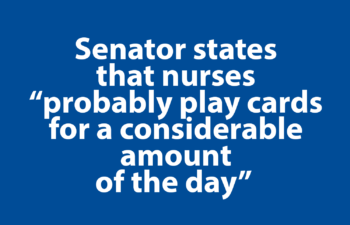 Are you concerned about nurse fatigue and patient safety due to the lack of rest and meal breaks, on call requirements of call-back hours worked? Continue to be involved in advocating for YOUR union by adding your voice. Take our rest breaks/overtime survey.